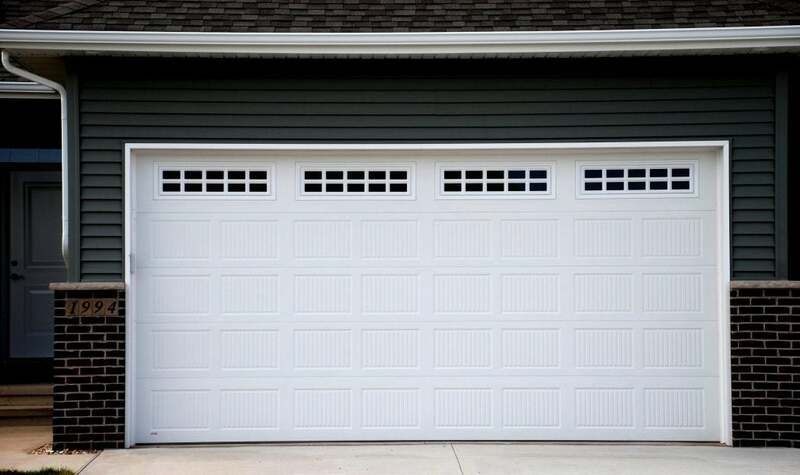 Maintaining your garage door is easy when you know how. Maintaining your garage door twice a year is an easy DIY project and will keep the door operating safely and smoothly for years to come. All you need are some basic tools, a tin of spray lubricant and a bit of know-how. If you have an owner’s manual, check it first for maintenance requirements specific to your door. If you don’t have the manual, you should be able to find it online. Start by watching and listening to the door as it goes up and down. If it’s noisy or jerky, there may be problems that will ultimately require a professional to remedy. Next, inspect the tracks. Are they free of rust and debris? Are they level (you can usually make small adjustments yourself: check your owner’s manual or do an online search). Check the rollers along the edge of the door as well as cables, springs and pulleys for wear. Rollers are usually a DIY replacement, but leave cables, springs and pulleys to a pro (springs, which are under high pressure, are very dangerous). A shot of WD-40 or other general purpose lubricant followed by a little 3-in-1 oil will keep moving parts moving. Chains and other large parts may require a grease-based lubricant: check your owner’s manual. Tighten all bolts, which can loosen from the door’s vibration as it operates. 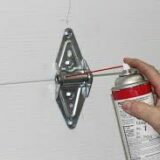 Bolts include those on the brackets holding together the different sections of the door as well as those that secure the tracks to the wall and ceiling. A socket set works best for this. Check the door’s balance by pulling the release handle on the automatic opener and then manually opening the door halfway. 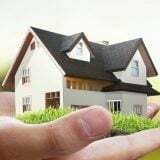 If it stays open, all is good; if it starts to move on its own, the springs may be showing their age and you need to call in a pro. Test the auto-reverse feature that stops and reverses a door if it strikes a person or object. Put a block of wood in the door’s path and make sure the door reverses when it contacts the block. Check the electric eye feature by passing your hand in front of it as the door is moving; again, it should reverse the door’s movement. Your owner’s manual will tell you how to adjust the auto-reverse function. If your garage door opener doesn’t have it, replace the opener immediately. Inspect the weatherstripping along the bottom of the door. If it’s worn, you should be able to find a replacement at a hardware or building materials store. Finally, watch and listen to the door again. If grating or rubbing sounds continue after your maintenance, or if the door opens in a jerky or off-balance fashion, it’s time to call in a pro. Try searching online under “garage door repairs” and research them carefully before hiring anyone. NEXT POST Homeowner Helpers: Cleaning appliances — How often they should be done?